Say Goodbye to jump stitches with the BERNINA 700! Plus, Free Love Heart Embroidery Design! Hello! I’m Lisa Archer, BERNINA Brand Ambassador and Owner of Pickle Pie Designs. I recently added a BERNINA 700 embroidery-only machine to my studio and I’m in love! 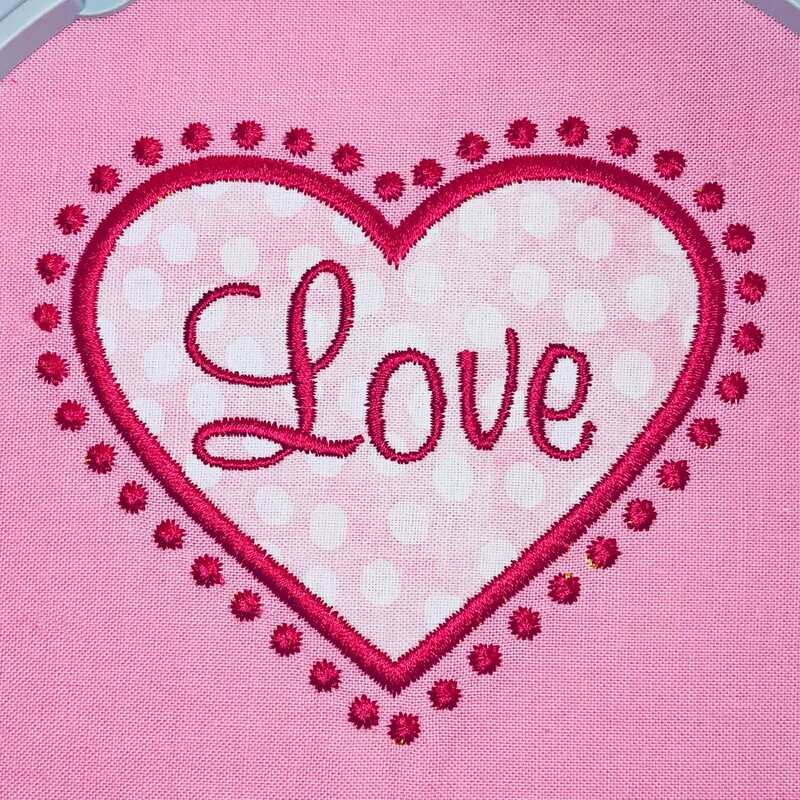 This amazing machine is designed with an embroidery enthusiast’s most-wanted features in mind. One of my favorite features is the ability to cut jump stitches. 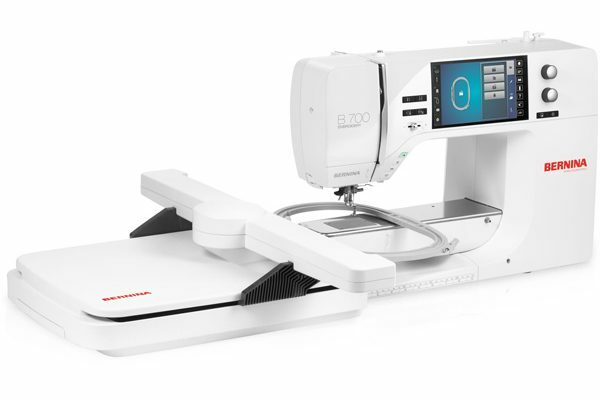 When activated, your BERNINA 700 will automatically cut every single jump stitch in your design, saving you tons of time. Think about how long it takes to neatly trim off jump threads in designs. Even when you do spend the time trimming jump threads, it can be difficult to trim off the entire jump stitch cleanly, and you get tiny threads sticking up because you can’t get close enough, even with sharp snips. To demonstrate this wonderful feature, I created an embroidery design in my BERNINA Embroidery Software with a candlewicking border. Normally, I would have to trim each little jump stitch between the candlewicking stitches. Count how many there are… 39! It would take quite a while and a lot of precision cutting to get them all. What a pain! 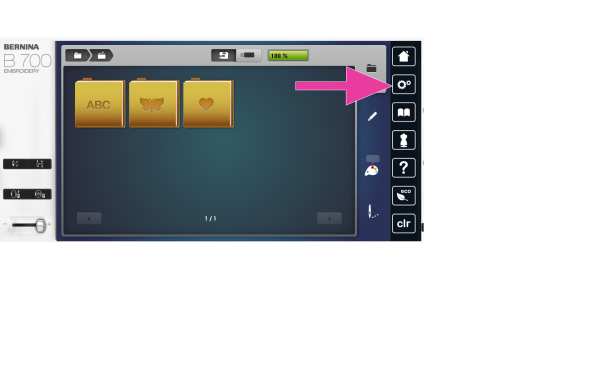 The last icon on the screen shows the setting for jump stitch cutting. 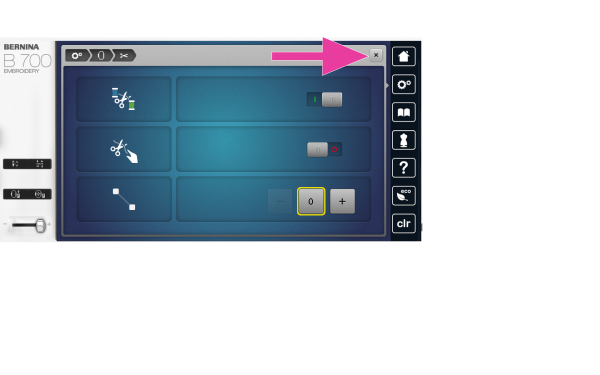 Touch the minus button until it reaches setting 0. This will tell your machine to cut each jump stitch no matter what the jump stitch length. 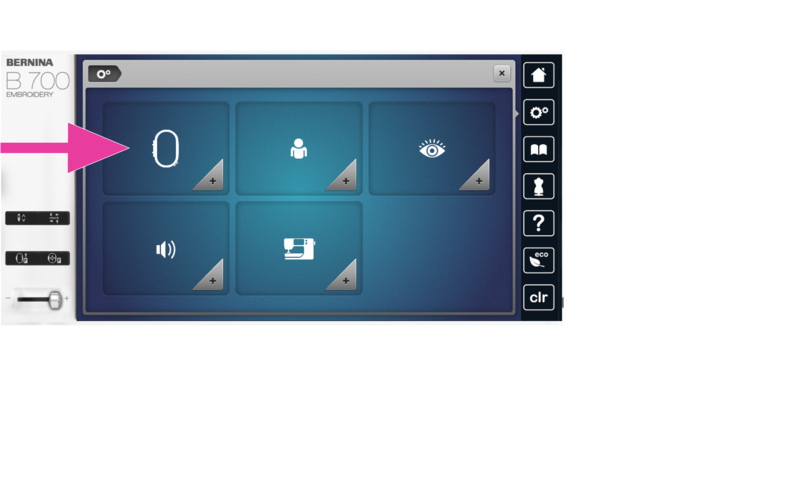 Next, stitch out your design and watch as the machine trims each jump stitch as it goes. Let’s have a look at my stitch out after setting up the jump stitch cutting feature. I saved 15 minutes that I would have spent trimming all of those tiny jump stitches! Think of all of the times you’ve spent on jump stitches and how amazing it will be to save time on your next embroidery project! 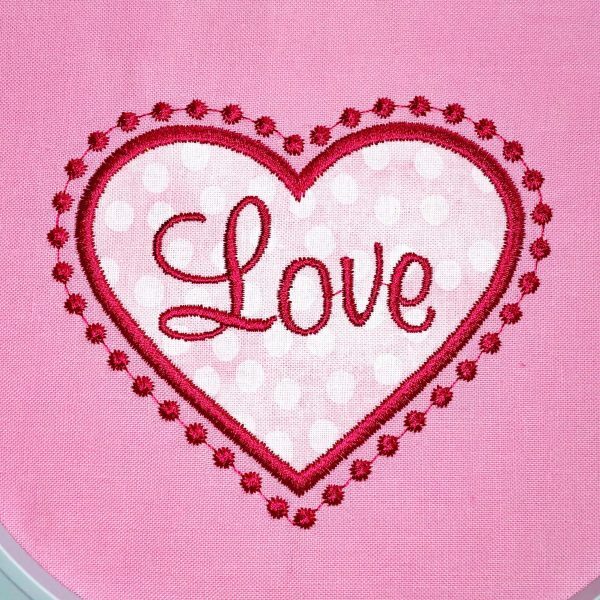 Download this free design and comment below to let me know if you try it on your BERNINA 700 embroidery-only machine, or if this embroidery must-have is on your wish list! 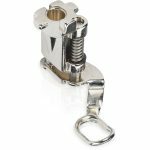 Hi Hertha, unfortunately, this feature is not available on your machine but is available on other BERNINA machines; B 790 PLUS, B 880 PLUS, B 590 and B 500, or with the latest upgrade on some models. With BERNINA Software V7, you can set some stitch types to always trim jump stitches, but the candlewicking outline I used on this design will not work with this feature. You can use it for other stitch types, though, including fonts – after you break the design apart, go to Object properties, then click the Tie-on/tie-off to find the “Always Trim” option. I hope that helps! The lowest setting on my 880 Plus is 1mm. Sorry, but this feature is not available on your machine. If you’re considering adding an embroidery machine to your studio, the B 700 is amazing, and you can use the embroidery module from your 830 with it! On my 770QEE I was only able to decrease to 1mm and I still had large jump stitches between each dot and the letters. Yes, I did do the upgrade. I just got my B700 and I’m checking out the many features. I noticed you used the #15 foot instead of the default #26 foot. Was there a reason for that? It looks like I can’t do this on my 780. Correct? 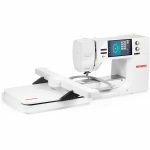 Hello kittyv, you can get in touch with your BERNINA store for personal help with finding out if you have the latest firmware version on your BERNINA, or if you need to update the machine. I have an 880 plus and a B590 and neither allow me to dial down to zero. One is the lowest option. Is there a new update that gives me this option? I love your step by step instructions. Extremely helpful. Thank you. I have my upgraded to a 790plus. All of my jump stitches do not cut, despite having my settings set like yours – and the lowest I can set the cut length to is 1mm. I took a class at my local quilt shop and used their 790plus with oesd designs. Their machine also did not cut all of my jump stitches during class. Any suggestions?